PureAir Filtration specializes in custom design solutions for a wide range of vapor phase air purification and contaminant control applications. Proven technology is developed and applied by PureAir in order to provide efficient, cost effective systems. PureAir designs and builds customized systems including odor control and emergency gas scrubbers that meet the demands of ANSI/ISA S-71, the environmental standard for protecting electronics. 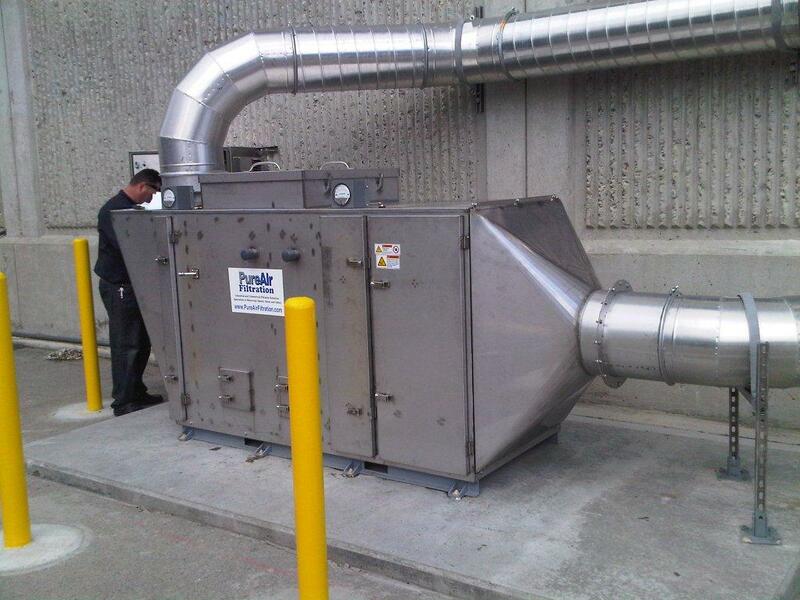 ODOR CONTROL – Improving air quality around municipal wastewater treatment plants and collection systems. PROTECTING ELECTRONICS – Improving reliability by safeguarding sensitive instrumentation and electronics in corrosive environments. 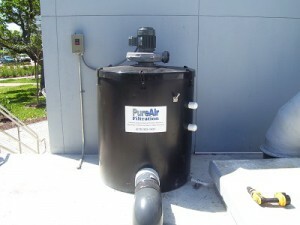 The Pure Air Filtration PureAir DS is a vent control system that is completely self contained. This system provides a reasonable, inexpensive air purification system for small flow odor air streams ranging in volume from 50 to 1,000 CFM, without prefiltering or mist/grease elimination. 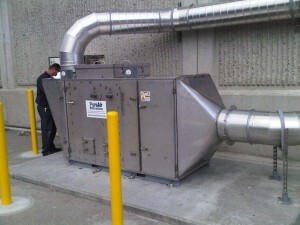 The PureAir DS systems may be connected to an exhaust vent and used for passive odor control or environmental emission applications. The most common applications are process vessels, storage tanks, sewage lift stations, and package sewage treatment plants. Larger systems will include a blower to ensure active purging of contaminants. The following 3 products are complete, self-contained airflow units. They provide continuous high-efficiency air purification for contaminated air streams at varying volume ranges. They are available in either blow-through or draw-through configurations. All PureAir systems are completely customizable. Standard construction material is stainless steel. PureAir Filtration produces a variety of adsorbent media for efficient and cost effective removal of all corrosive and odorous gaseous contaminants.